If you're gonna go through life with a name like 'Flash', you'd better back it up by being very cool under fire, have a hot I'd-better-go-with-you girlfriend and a brilliant father-figure scientist buddy at your side. That would be Flash Gordon. The best airman this side of Mongo. My grandmother used to send me clippings of the Flash Gordon Sunday strip out of the Chicago Tribune when I was a kid. They didn’t run it in my local Cincinnati Enquirer. By the time I discovered it on a trip to my grandparent’s house, I had no idea where the story had started or where it was going. I didn’t care. Those clippings were like jewels of color that I studied and studied. 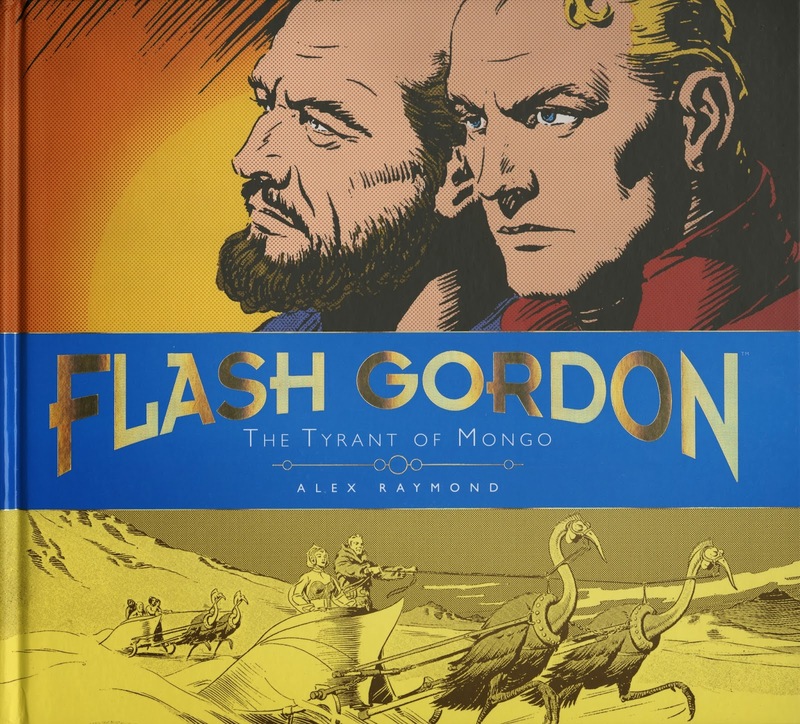 Whoever this Alex Raymond guy was, his artwork was enough to get me curious. 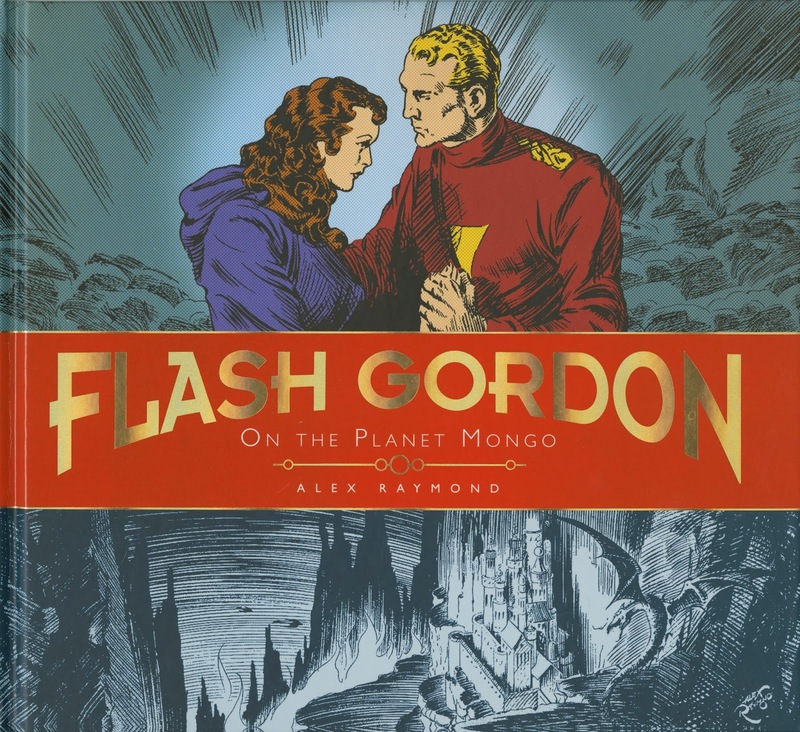 With his graceful, information-charged lines, I could daydream about Flash’s world, make up images of Flash and Dale and Dr. Zarkov as real people. 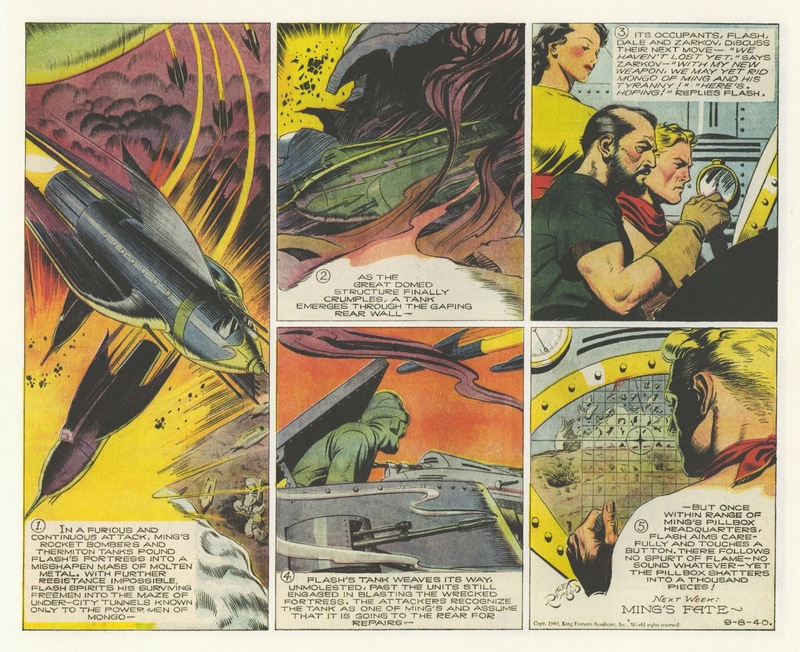 But over the decades, I’d lost hope that I’d ever get to revisit those strips in quite the same way. But Titan Books has been publishing the entire series in one beautiful volume after another. 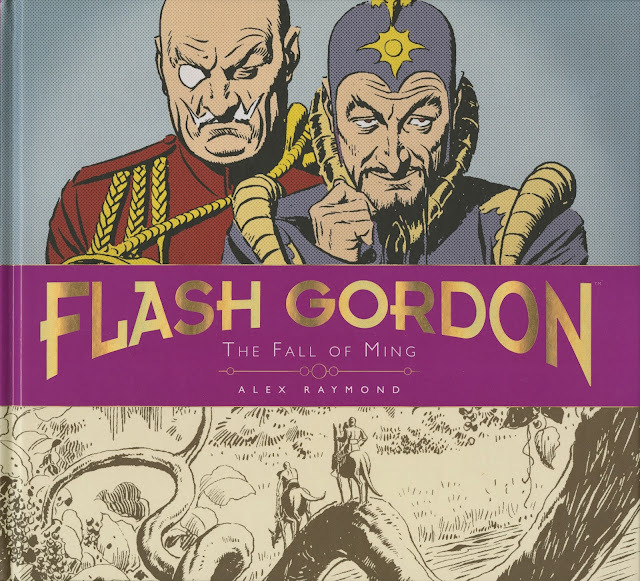 Recently released is volume 3, “The Fall of Ming 1941-1944,” preceded by volume 1, “On The Planet Mongo, 1934-1937,” and volume 2, “The Tyrant of Mongo, 1937-1941.” The production is excellent and makes a gorgeous set of books, collecting several years in each volume. The beauty of the pages is that they not only capture the color, but they capture a bit of the age of the strip. It allows me to remember my excitement as a kid, only now, I know what I’d been missing. 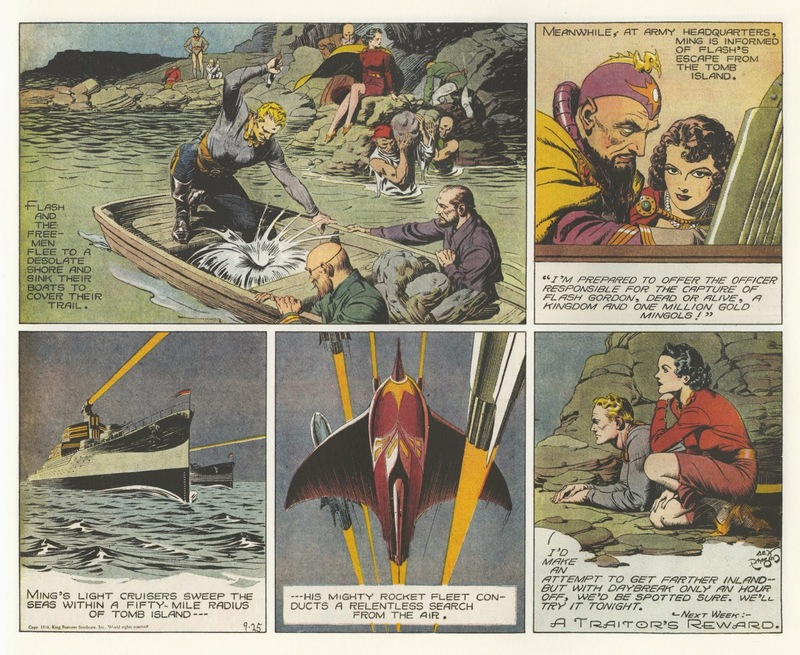 Alex Raymond’s work is as exciting today as it was in the 30’s and 40’s, or even my childhood. The pages are lovingly produced. Titan respects these pages as much as the fans and presents them as fresh and alive as if inked yesterday. In production now is volume 4, “Kang The Cruel” by another fabulous inker, Austin Briggs.